Who are you rooting for in the NLDS? The National League teams get into action today, though thanks to a television rights deal that relegates the games to FOX Sports 1, I suspect I will see more of the American League games this weekend. While the National League teams are more familiar to me, it was harder to decide who to root for. 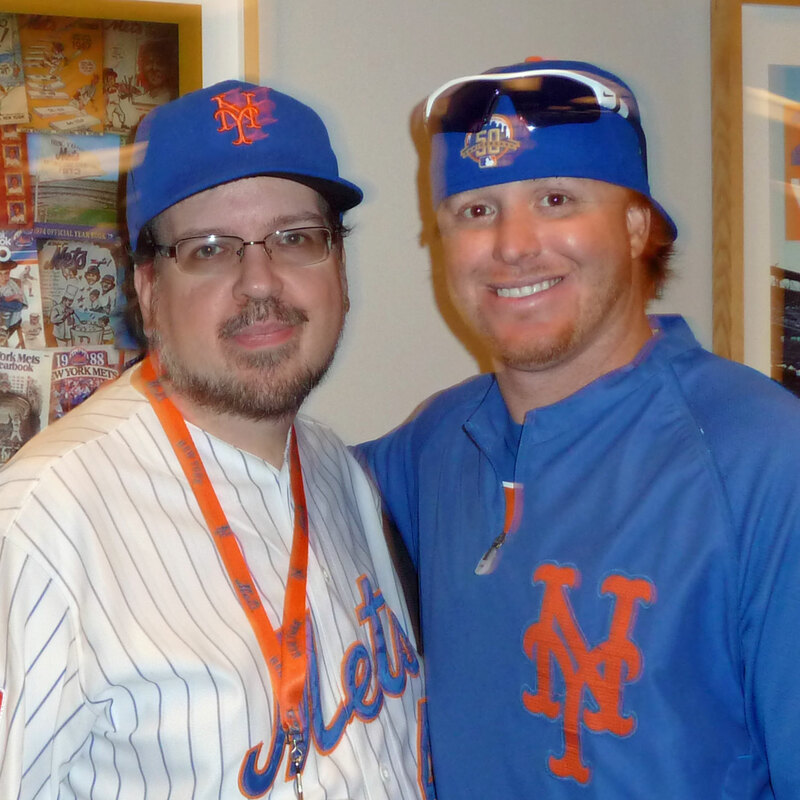 Justin Turner poses for a photo with me during a Mets Social Media Day event in 2012. Asking a Mets fan to root for the St. Louis Cardinals is a tough sell. Fans of a certain age recall the late 1980s rivalry between the two teams. Newer fans still have bitter memories of Yadier Molina and Adam Wainwright. On the other hand, if you mention the names Mike Scioscia, Orel Hershiser and Kirk Gibson to a Mets fan old enough to remember 1988 and you won’t be likely to get a positive reaction. The ex-Met factor is enough to sway my decision in favor of the Dodgers. After the Mets unceremoniously dumped him to save a few dollars, Los Angeles picked up Justin Turner. He had a really good year in a part-time role: .340 / .404 / .493 with 7 home runs, 43 RBI and 6 stolen bases. The Nationals might be the best team in the National League, but as long as Bryce Harper plays for them I will find it difficult to root for Washington. Harper has the brash rock-star personality, but his on-field achievements haven’t quite matched that star status yet. Add in some stories I’ve heard about people who sought his autograph at the ballpark… no, I won’t be rooting for the Nationals in the playoffs this year. San Francisco has to be my choice, even though one of my favorite Giants had season-ending back surgery last week and another may be left off of the postseason roster. I wish I could be more enthusiastic about them. Previous Post Who are you rooting for in the ALDS?